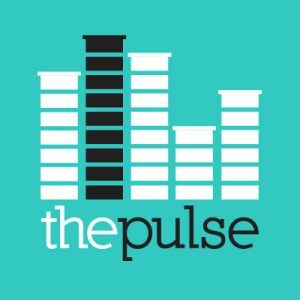 This story is a collaboration between WHYY Health + Science and The Philadelphia Inquirer. Portia Smith’s most vivid memories of her daughter Nelly’s first year are tears. Not the baby’s. Her own. “I would just hold her and cry all day,” she recalled. At 18, Smith was caring for two children, 4-year-old Kelaiah and newborn Nelly, with little help from her abusive partner. The circumstances were difficult, but she knew the tears were more than that. But Smith couldn’t bring herself to ask for help. Smith’s concern is echoed by many women of color who suffer from postpartum depression. Maternal health experts say women often choose to struggle on their own rather than seek care and risk having their families torn apart by child-welfare services. Postpartum depression affects one in seven women. In March, the Food and Drug Administration approved the first drug specifically for postpartum depression. A month earlier, the U.S. Preventive Services Task Force released new guidelines recommending screening for depression in all pregnant and postpartum women and referring those at risk to counseling. But those advances only help if women in need are identified in the first place — a particular challenge for women of color and low-income moms, research shows, as they are several times more likely to suffer from postpartum mental illness, but less likely to receive treatment. “There’s a real opportunity to help women,” said Laura Line, a health-care consultant who specializes in maternal mental health. But too often, clinicians miss the signs. When Auriel Dickey returned to work after having her daughter two years ago, she felt a profound sense of loss. The feeling persisted for months. It was more than separation anxiety. But Dickey was terrified to tell anyone. Even today, when mental-health discussions are becoming more common, she knew uttering the words “postpartum depression” could lead people to assume she was an unfit mom, a risk to her child. When that fear causes women to delay or avoid care, it can have serious consequences, Line said. Research shows that when moms and babies struggle to form a secure attachment, children are more likely to develop behavioral issues and have lower cognitive abilities. Poor mental health can lead to deteriorating physical health too. In the U.S., mental-health problems are among the main contributors to maternal mortality. In Philadelphia, 25 of the 55 new moms who died between 2010 and 2012 had a history of mental illness, according to the city’s maternal mortality review committee. Untreated mental illness can even result in postpartum suicides, which though thankfully rare still comprise the second leading cause of maternal mortality in developed nations. After months of suffering, Dickey and Smith both reached breaking points that pushed them to get care. But their challenges didn’t end there. Smith never confirmed what happened, but she concluded the children were being given to another family. The memory created a sense of dread that would stick with her for years. For many women of color, the fear of child-welfare services comes from seeing and hearing of incidents in their community. “This is lived experience,” said Alfiee Breland-Noble, an associate professor of psychiatry at Georgetown University Medical Center, who specializes in depression in minority populations. 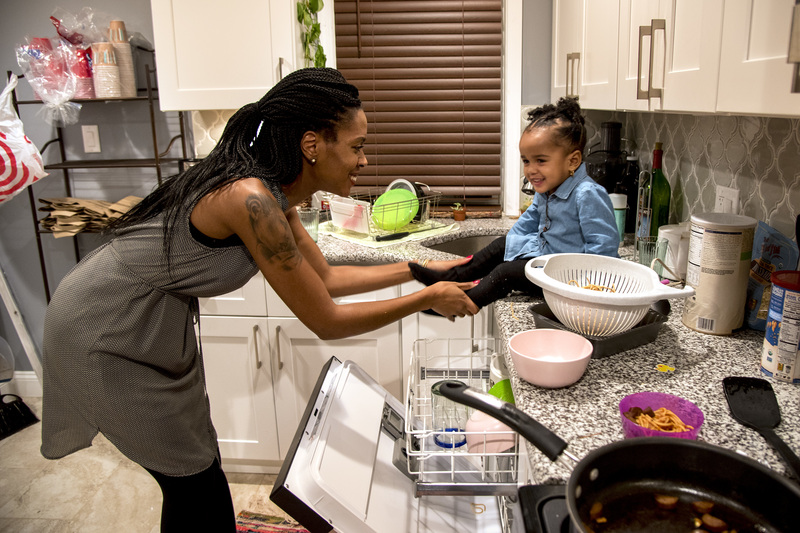 Studies in several states and at the national level have found child-welfare workers deem black mothers unfit at a higher rate than white mothers, even when controlling for factors like education and poverty. 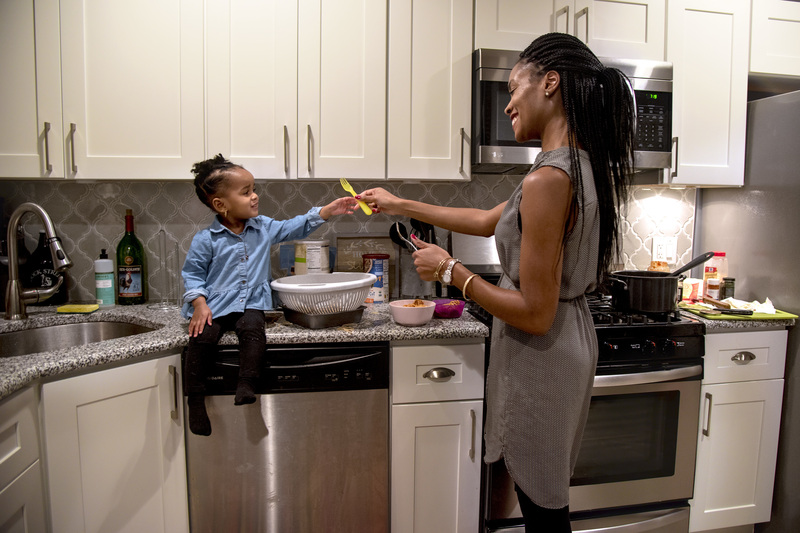 The result is a disproportionate number of black youth in the foster-care system — a pronounced issue in Philadelphia, where black children account for 66 percent of those in that system, even though they represent 49 percent of the county’s children. At a recent Philadelphia City Council hearing, parents and child-welfare advocates raised concerns about child-abuse reporting rules and unnecessary removals. The hearing was called by Councilman David Oh, who said he felt racially discriminated against by social workers within the Department of Human Services, who were investigating him for child abuse following a collarbone injury to his son. Oh said he was teaching his son martial arts, and the inquiry found no wrongdoing. But for women who have experienced discrimination personally and communally, Oh’s experience revealed nothing new. During a home visit two months ago, Uqdah asked her client the 10 questions on the Edinburgh Postnatal Depression Scale survey, one of the most commonly used tools to identify women at risk. It asks women to rate how often they’ve experienced certain situations in the past seven days, like “I have been able to laugh” or “I have been so unhappy I have difficulty sleeping.” The answers are tallied for a score out of 30, and anyone who scores above a 10 is supposed to be referred for a formal clinical assessment. The first time Uqdah conducted the survey with one pregnant client, the woman scored a 22. The woman refused to go for the mental-health services Uqdah found for her. A week after having her baby, the woman’s answers netted her a score of zero: perfect mental health. The woman’s first child had been taken into Department of Human Services custody and ended up with her grandfather, Uqdah said. She didn’t want that happening again. Experts agree postpartum depression is highly underreported. Many woman are not given screening surveys, and even those who are — like Uqdah’s client — may feel too ashamed or fearful to answer truthfully, said Aasta Mehta, a gynecologist and women’s health adviser for the Philadelphia Office of Maternal, Child and Family Health. While the city does not track rates of postpartum depression, Mehta said it could be more prevalent in Philadelphia due to high levels of poverty, a risk factor for postpartum mental illness. And there’s yet another hurdle for women of color: the tools clinicians use to screen for postpartum depression could be failing them. As a lactation consultant, Jabina Coleman shares in some of her clients’ most intimate moments as new moms. So she shares part of herself with her clients, too. The term doesn’t appear on any screening tool, but as soon as she hears it, Coleman knows to ask more. Research shows that different cultures talk about mental illness in different ways. African Americans are less likely to use the term “depression,” but may say they don’t feel like themselves, said Georgetown’s Breland-Noble. It’s also more common for people in minority communities to experience mental illness as physical symptoms. Depression can show up as headaches, for example, or anxiety as gastrointestinal issues. 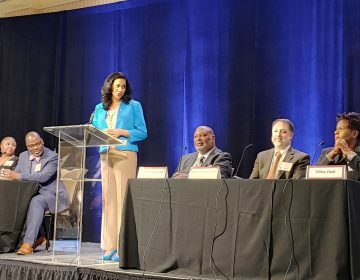 Since many depression-screening tools don’t take those factors into consideration, they’re not as relevant for women of color, Breland-Noble said. 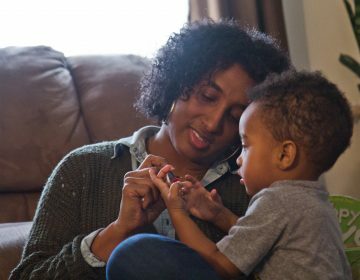 Studies evaluating screening tools used with low-income African American mothers found they don’t catch as many women as they should. 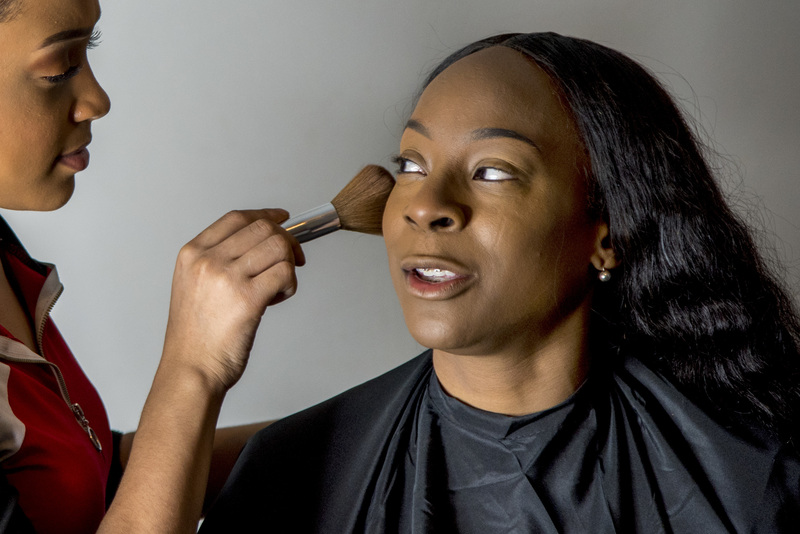 Researchers recommend lower cutoff scores for women of color, as those who need help may not be scoring high enough to warrant a followup under current guidelines. 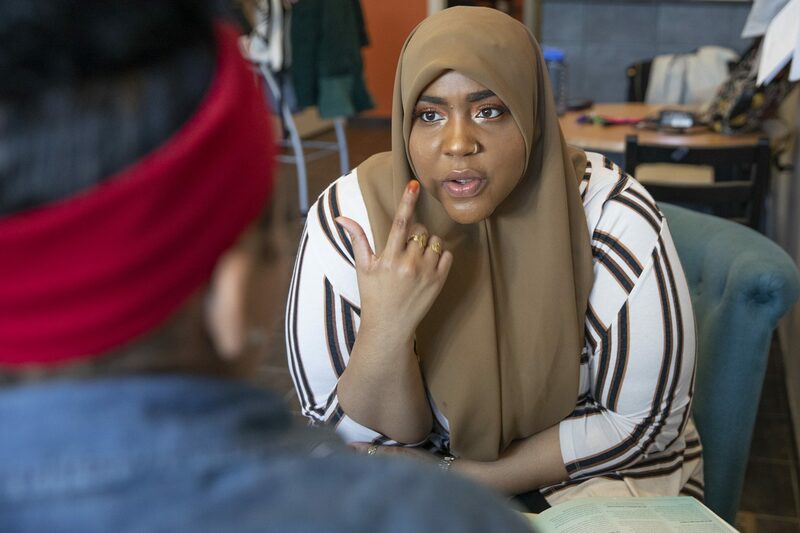 For Saleemah McNeil, a reproductive psychotherapist and founder of Oshun Family Center in Jenkintown, that can mean rewording survey questions that leave a lot of room for interpretation. Many of the screening tools also neglect to ask about postpartum obsessive-compulsive disorder or post-traumatic stress disorder. 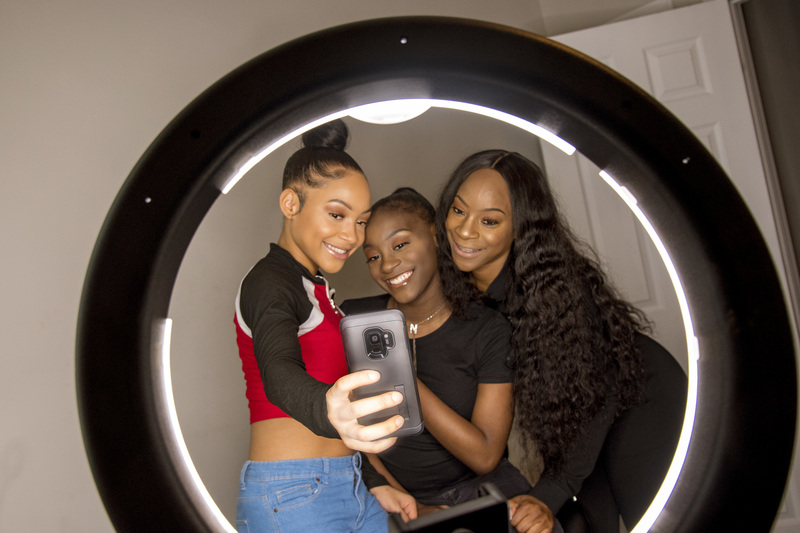 The latter can be especially important for black women, McNeil said, because they have higher rates of serious medical complications and even near-death experiences during pregnancy or childbirth. “Postpartum mental illness can look different for everyone,” McNeil said. 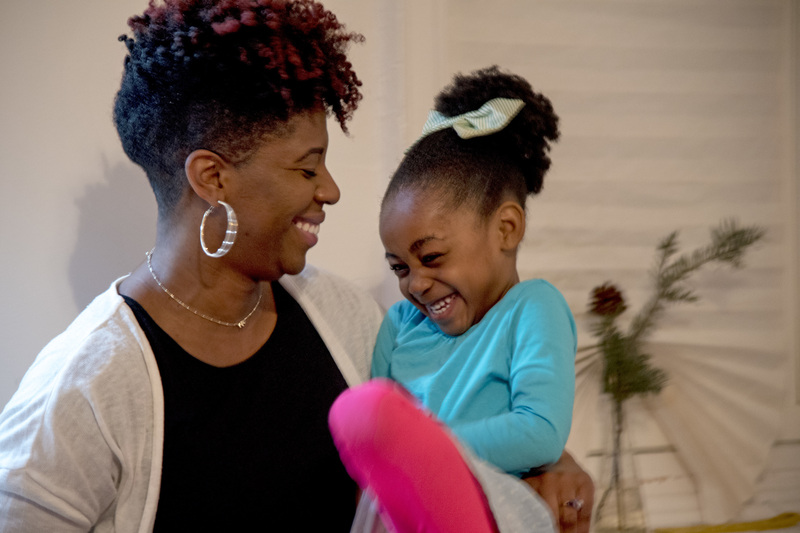 Auriel Dickey didn’t have thoughts of harming herself or her child, but being away from her daughter — when she returned to work after maternity leave — triggered painful memories. It brought her back to being 17 and watching her mother wither away from breast cancer. “That grief, it felt like my soul was trying to jump out of my body,” Dickey said. Years later, when Dickey gave birth to her daughter, Oma, it was a reunion. The sparkle in Oma’s eyes and her mischievous grin brought back the spirit of Dickey’s mother. It’s not what people traditionally think of as postpartum depression, she said. “But that’s what it was” for her. Eventually the situation got so bad Dickey couldn’t hide it. She told her company and human resources helped her get therapy. It took Portia Smith six months after Nelly’s birth to work up the courage to see a doctor about her postpartum depression. When she told him about crying every day and feeling wracked with anxiety about forgetting to lock the door or turn off a light, he called it normal. Many young moms feel overwhelmed, he said. Research shows medical professionals are more likely to dismiss the concerns of women and nonwhite patients. Even Serena Williams, a world-renowned tennis star, had to fight for doctors to take her seriously when she experienced postpartum complications. Women reluctant to seek treatment in the first place conclude it’s not worth getting help. “You start feeling like everybody’s going to treat you the same way,” Smith said. Smith visited another behavioral-health clinic, where she was given therapy and medication. Over the course of several months, she began feeling better. Most importantly to Smith, she started bonding with her daughter. Today, Smith and her three daughters go to weekly $5 movies at Studio Movie Grill in Upper Darby and do their makeup together before each major outing. The hormonal changes involved in pregnancy and childbirth can trigger powerful emotions, leading many new moms to experience “baby blues.” This commonly involves mood swings, crying spells, anxiety, and difficulty sleeping after delivery. It lasts up to two weeks. Postpartum depression is more severe, often interfering with a mother’s ability to care for her child or handle daily tasks, and can last up to a year after birth. For help, call the Postpartum Support International helpline at 1-800-944-4773 or send a text to 503-894-9453. You can also call the National Suicide Prevention Lifeline at 1-800-273-8255. 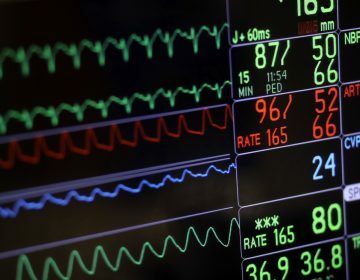 Doctors, musicians, and engineers are teaming up to find out how to rid hospitals of stressful beeps and alarms and replace them with more harmonious alternatives.